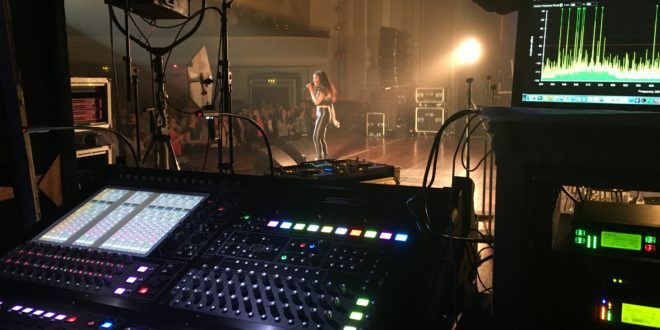 This spring, DiGiCo SD10-24 digital mixing consoles occupied both the Front of House and monitor positions on three time MOBO award winner Beverley Knight’s tour of UK theatres. 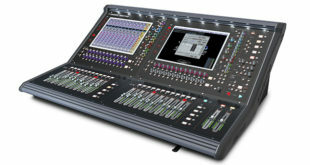 The consoles were supplied by audio rental company Capital Sound Hire. 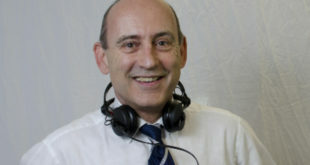 FOH engineer Robin Tombs and monitor engineer Simon Panos have been working with Beverley Knight for a number of years. 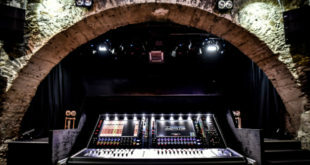 Tombs and Panos had heard good things about the SD10 and the fact that a lot of the big name tours the latter had seen recently, such as Pharrell Williams and Mumford and Sons, use SD7s. Despite this, he believes the SD7 would have been out of reach on this particular tour and may have been slightly overkill. The two SD10-24s were ran using a single SD Rack on an optical loop, with the monitor console as the analogue gain master, since Panos had been using it for two weeks in rehearsals, and the FOH console in Gain Tracking mode. 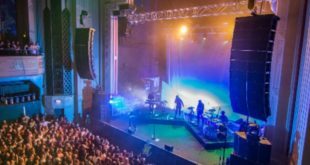 In total they used 48 of the 56 SD inputs, with monitors also deploying eight talkback mics as the whole band (drums, keys, bass, guitar, three backing vocal, two brass and Beverley herself) all used stereo IEMs. “The four static musicians all had a talkback mic with an Optigate going to my cue mix, so they could ask for adjustments mid- song,” said Panos. “There were also two tech mixes with their own talkback mics for communicating with the musicians, plus Robin and myself. Beverley was the only person on stage with wedges. The drummer, bassist and keyboard player all had Cole and Porter thumpers. All told, with effect sends and returns, I was running 12 stereo mixes, 12 mono mixes and around 64 input channels."